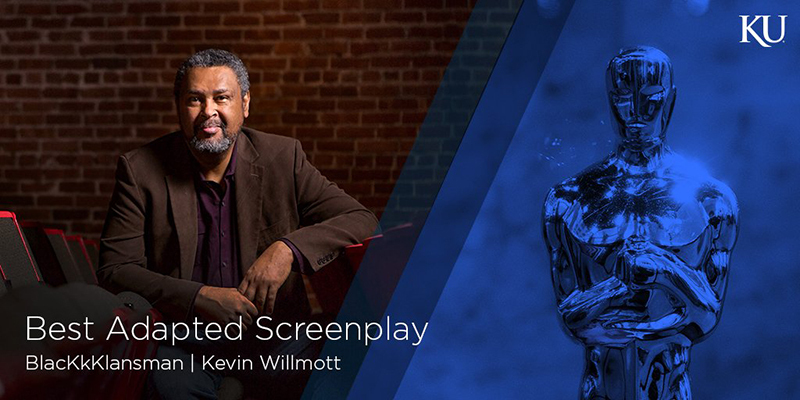 LAWRENCE — After months of Oscar buzz, Kevin Willmott’s work on “BlacKkKlansman” was lauded with an Academy Award for best adapted screenplay Feb. 24. Willmott has announced or begun work on at least three more films: He and several KU colleagues are collaborating on "I, Too, Sing America: Langston Hughes Unfurled," a documentary about the prolific 20th-century writer and one-time Kansan. It has a tentative release date in 2020. Willmott has begun work on another documentary with a Kansas angle, a film version of the 2018 book by KCUR-FM editor C.J. Janovy, "No Place Like Home: Lessons in Activism from LGBT Kansas." And he announced recently the start of another collaboration with Spike Lee titled "Da Five Bloods," a dramatic film about black Vietnam War veterans.